Activating an air conditioning unit doesn’t seem like the most economical idea, but when the summer starts melting the paint off the walls and the humidity turns the world into a giant swimming pool, it might be high time to resort to it. Even though some people I know are resilient to great heat, there are a lot of people who simply cannot take it or their medical state doesn’t recommend such exposure. For example, small kids or elderly people are more sensitive to high temperature and adequately cooled room could provide a pleasant environment. Also, if an office is packed with numerous computers that are running 24/7, it needs certain temperature to preserve optimal functionality. Accordingly, we have come up with some handy tips on how to play it cool while preserving energy and cutting down the costs. You don’t need the exact cooling activity throughout the night as you need during the day. The temperature drops on its own and your body simply won’t get adjusted to it if you keep the house like a freezer all the time. With this in mind, you’d be best advised to keep the unit at minimum or turn it off completely at night. If you don’t really need to cool the entirety of your house, opt for a mobile unit that would chill only the space in which you’re spending time. They are a massive savers as they consume half of the energy a standard, larger model does for the same footage. The basement area is commonly the coolest in the house, so go ahead and close the vents in the lower level of the house. The chillier air will naturally drop down and when you shut all basement vents, the air is pushed to the top first, and cools as it descends. The regular upkeep is often the sole thing your AC unit needs, but at times a hearty hosing could be beneficial to it. For example, if your property is surrounded with annoying seed-shedding trees like Cottonwoods, they might get stuck in the filters and overload the unit by 15%! Ensure that the rooms that are not covered by the AC effects (attic) but have the ducts running through them are adequately insulated. This will efficiently cool the incoming breeze and considerably reduce energy consumption of your residential air conditioning device. 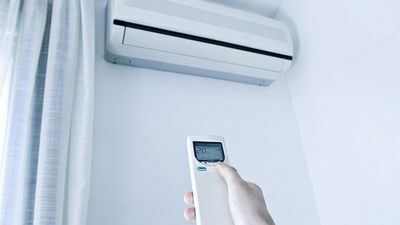 The pieces of furniture that block the air conditioning elements are practically cooling the lower part of your sofa or the back of some chair, and that’s not exactly the idea behind air conditioning units. I believe that most of us would rather have the whole space chilled. Do some smart rearrangement and remove the obstructions. The optimal temperature that makes your unit work at its maximum level is 78 degrees. This can be compared to a car set on cruise control that glides across a flat patch of land. It works diligently and steadily even in uphill conditions without making funny noises. In fact, lowering the temperature by 5 degrees will force the unit to use extra 40% of energy! Although turned off lights aid in heat minimisation, there’s another front that may be exploited. Try not to let in the light when the sun is at its very worst. In my apartment building, the sun in the summer period wakes me up in the morning if I don’t use the blinds. This also effectively prevents the overheating of the room in the critical period. When you’re not at home, the house doesn’t require all the cooling? Right, and wrong. Although from my experience keeping the windows closed at the peak hours helps chill the rooms you’re not in, it can be a tad stuffy when you spend more time there. Close your windows but also set the AC to 85 degrees and cool the rooms without outside air interference. 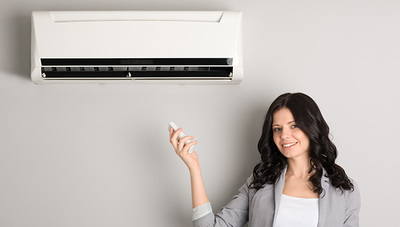 Air conditioning units don’t have to be the ultimate wasters of your family budget. With these pieces of advice, you will minimise the costs and maximise the house comfort.